This post was inspired by two pictures I saw on Pinterest. You should click on the links below to get a closer look. • How many letters are in your name? • How many vowels are in your name? • Do you have any double letters in your name? • What fraction of your name is made up of vowels? • What fraction of your name is made up of consonants? • Do you have a middle name? Model with your own name and show how you would work out the answers for each question. Model how you want the students to write their responses. You might want them to write full sentences or complete a table. Provide time for your students to write the specific information about their own name. If your students have had lots of experience with comparing you could ask them to talk to their elbow partner and compare the similarities and differences between their names. If you think it’s necessary you might model this or have the comparing discussion as a whole class. What a great learning activity?! Students are writing, reading, creating, speaking, listening, counting and comparing. They are also beginning to explore fractions and parts of a whole. They are exploring letters and sounds and how letters work together to make certain sounds. This activity sparked my interest last year on Pinterest and has inspired me to plan a mini-unit for the first week of term. “What’s in a Name?” is the great phrase I have borrowed from Shakespeare to title our week of activities all about names. Lesson One: will begin with the activity above and will be followed by a “Naming Definition” activity. I will give each student the definition or traditional meaning for their names and we will share them as a class. I am looking forward to this conversation. I think it will be interesting for the students to see how different names sometimes mean the same thing and how some names are derived from others. Lesson Two: will be a focused numeracy activity. Students will be using MAB (tens and ones) blocks to make models of their names and talk about their names in terms of how many units. They can compare how many units are in each letter and how many are in their name. They can compare between the units in their own name compared with their elbow partner and discuss how the letter formations impact on this. We will also make our names using Scrabble tiles and see who’s name has the highest score in Scrabble (if names could be used on a Scrabble board of course). Lesson Three: will be more literacy based as students review the definitions of their names and how they have been derived. I will talk to them about why we have Surnames and given names. We will look at the surnames that have been linked to professions such as “SMITH” and ” BAKER” and there are many others. Then students will complete a Cloze activity and crossword with several of these “professional surnames” in it. I will be using the following websites to plan and resource my lessons. Behind the Name: has an easy to use search function. All I will need to do is type in the student name and click “search” then a page appears with various spelling choices and a basic definition as well as derivation. Famous people with the searched name are also mentioned. Another handy search engine and information site is www.babynames.com. History Today has an interesting and informative article about the derivation of Surnames from Occupations. It will be helpful for me and I might use snippets as reading material for my students, but I wouldn’t expect my students to read the entire article. About.com has several articles relating to Genealogy and family tree mapping but I will rely on this Surname Meanings article. Check out these tips for Secondary School Teachers on how to decorate the classroom. How to Decorate Your Secondary ClassroomThe Educator’s Room | Empowering Teachers as the Experts. Many middle and secondary school teachers claim that it is impossible to “decorate” or set up their classroom the way they want. Most secondary school teachers (at least in Australia) are expected to share their teaching space with other teachers and many of those find that they are scheduled in different classrooms for every subject that they teach. This makes “decorating” and “setting up” the classroom challenging, but not impossible. The author (who happens to be a secondary school teacher) of the above article is still working on his classroom, but I think he will see his plans come to fruition soon. The main reason his plans will succeed is that he wants it to happen! Some teachers don’t even have a dream for their classroom much less a plan for how to make it work. I am very lucky to have a (home) classroom where I am scheduled for all of my classes. I have to share this space with three other teachers (as my teaching timetable is quite light on) and this means that I need to negotiate with them to ensure the space is shared equitably. 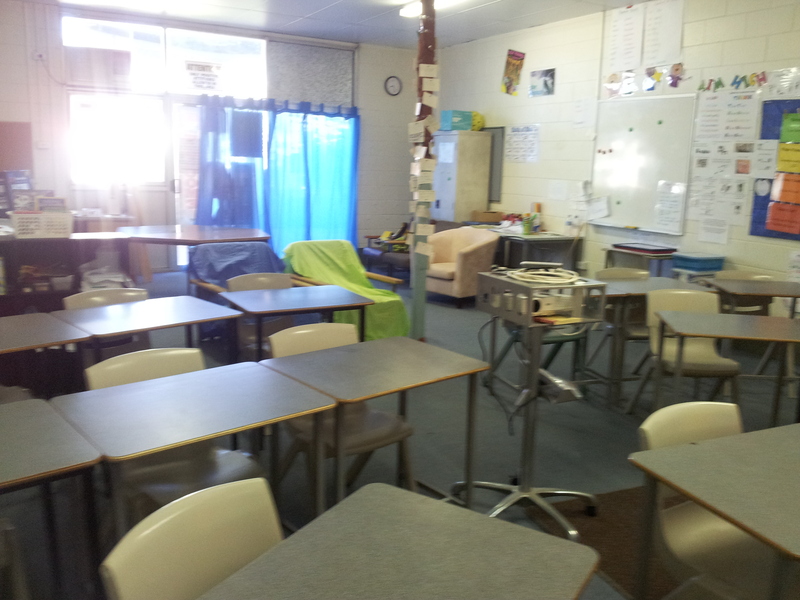 However, for the most part, I can decorate and organise the classroom in ways that work for myself and my students. 1. If you could have an empty standard sized teaching space and have complete control over furnishing, fixtures, decorations and organisation, what would you do with it? 2. What is one thing that you could change in your current classroom (or teaching space) to move it a little bit closer to your dream classroom? 3. Do you share your classroom? Who do you share it with? 4. How can you get past the barriers between your current classroom and your dream classroom? 5. What solutions can you suggest for teachers who are required to negotiate the equitable sharing of their teaching spaces? Please leave your answers to the questions in the comments section below. Any other nice comments will be appreciated too! If you don’t have a classroom now, but you have in the past, I would love to hear about how you made your classroom memorable! Check out my new resource page “PINSPIRATION“ that has links to several Pinterest boards that I follow and would recommend to any educator. Classroom teachers. Support teachers, Coaches and other Educational Leaders should find something Pinteresting. The page is still a work in progress so don’t forget to come back if you are looking for something different. If you have a category that isn’t listed or need a recommendation please leave a comment. We all want to help our students to improve their writing. We all want them to be more motivated to write too. If you are a teacher, chances are you will be asked to publish your writing at some point. Many of us are bloggers too. For this reason, we need to consider ways to cultivate and improve our own writing skills. Here are a few tips from one of my newest followers. They might seem simple (and even a little obvious), but can you honestly say that you do all these things? Can you honestly say that you provide opportunities for your students to write reflectively about their learning or experiences? Can you honestly say that you encourage your students to write for various purposes? 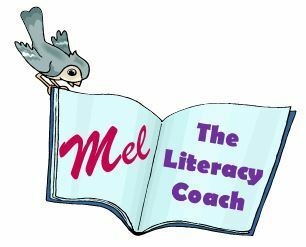 Do you help your students make links between their reading and their writing?Follow the link to read some more ways you can encourage your students on their journey to become proficient writers. As you read, consider how you can embed these opportunities into your classroom routine. Think about what you can do to improve your own writing. List anything that comes to mind about the functioning of your classroom and the writing journey your students are on. Highlight one tip and focus on it in your classroom next week.